Evernote has this week launched a new update to their Evernote Food application taking it to version 2.0 and providing users with a new design and a brand new iPad application. 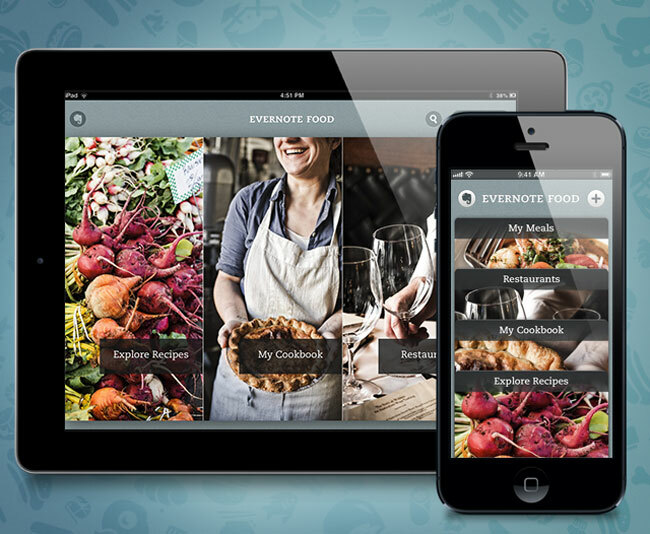 Evernote Food, launched last year and has been designed to enable you to save and relive your meals and food experiences on iPhone and Android, and now iPad devices. Watch the video after the jump to see the new version and its features in action. The overhaul to the design of the Evernote Food 2.0 app includes a number of new features including an ‘Explore Recipes’ tab that populates your app with tons of searchable recipes, ‘My Cookbook’ tab that collects all your saved recipes in one place for easy access, ‘Restaurants’ tab that allows you to search restaurants close to you, and save a list of those you’ve been wanting to try, and ‘My Meals’ tab, now improved, where you can save and share the details – date, location, people, photos, notes – of your favorite food experiences. The new Evernote Food 2.0 app is now available to download for free from the iTunes app store and Google Play Store.